Descend into the darklands of Golarion–fight through a subterranean city and discover what awaits you within the Cradle of Night. Dive inside a vast subterranean city to actually try and…help…its denizens. And sure, you’ll do all the standard adventuring thins as well. If you want to stop an evil ghostly warlord, you’ll first have to fight off a dark elf incursion? Definitely. But the Cradle of Night is all about descending into the city of Lyrudrada in order to stop a wicked Cult–called the Reborn–from finding a powerful artifact called the Cradle of Night. This module is a return to form for Pathfinder–a standalone adventure module for players of around 8th level, this is a “deluxe” adventure, and from the description it looks huge. What’s lovely is that you can just pick this up and run it right out of the gates, it’s easy to drop right into an existing campaign, or if you’re looking to explore the land of shadow-haunted Nidal, then have I got a jumping off point for you. A desperate refugee emerges from the earth’s depths in shadow-cloaked Nidal with an urgent plea. A new faction in the subterranean dark folk city of Lyrudrada—a wicked cult called the Reborn—seeks a fabled artifact called the Cradle of Night. Vanished demigods of the Shadow Plane once used this artifact to craft the elusive caligni race, and the Reborn want to use it to shroud the world in darkness once more. 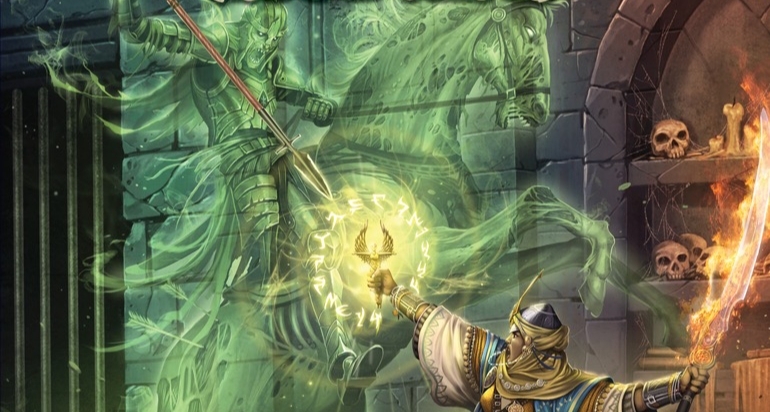 Cursed with the stain of shadow, the heroes must battle their way through the tomb of an ancient horselord chieftain before descending to Lyrudrada. Plots and schemes run rampant in this city riven with political upheavals and back-alley bloodshed, and the heroes must collect allies and information to confront the Reborn in their fortified fane. With the mysterious masters of the caligni race arrayed against them, can the heroes hope to shed their shadowy curse and claim the Cradle of Night? 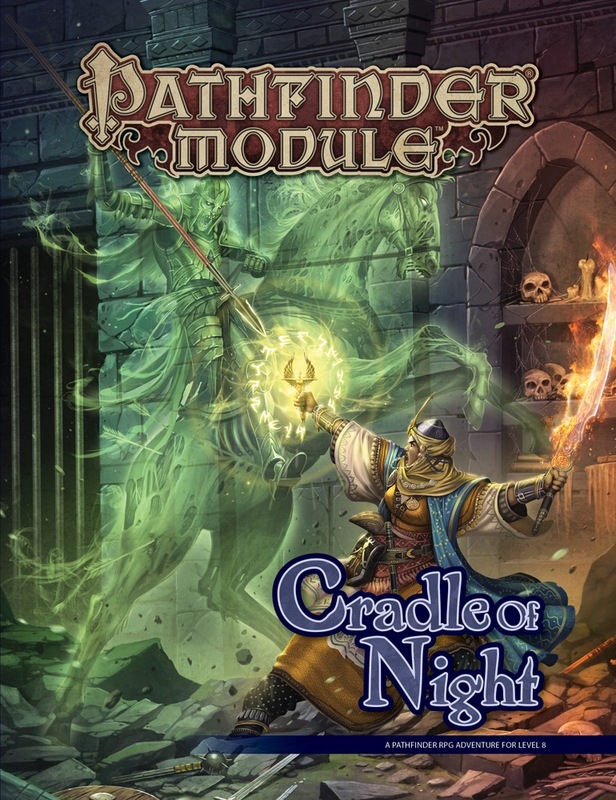 Cradle of Night is a deluxe adventure for 8th-level characters written by veteran authors James Jacobs, F. Wesley Schneider, Neil Spicer, and Greg A. Vaughan. Featuring horrifying new monsters, lore about the vanished demigods of shadow called the Forsaken, and a stunning full-color, double-sided poster map of the city of Lyrudrada, Cradle of Night provides a wealth of secrets and dangers—if the heroes can survive the shadows that seek to overwhelm them!